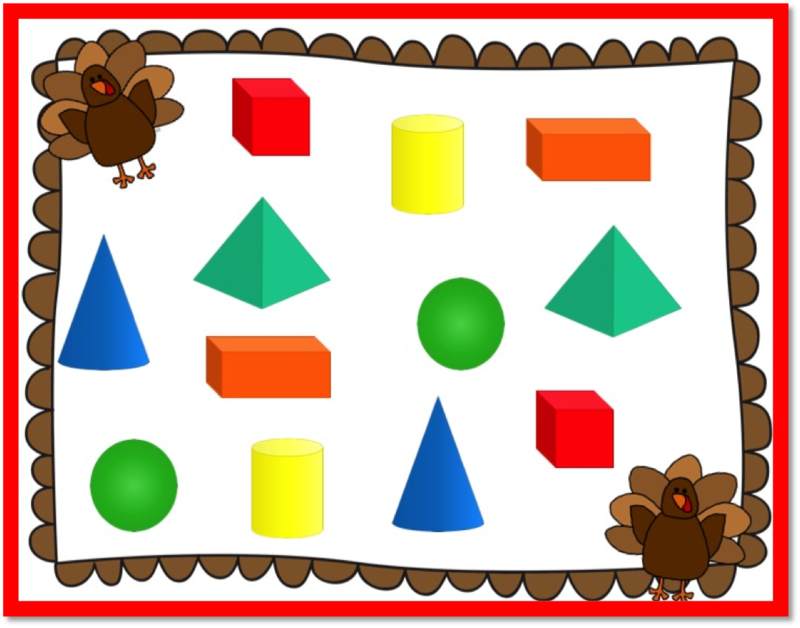 I have been so busy with all that November brings that I keep forgetting to tell you all about our November Math centers. I have several November themed products in my TpT store, but these centers are my latest and my favorite. 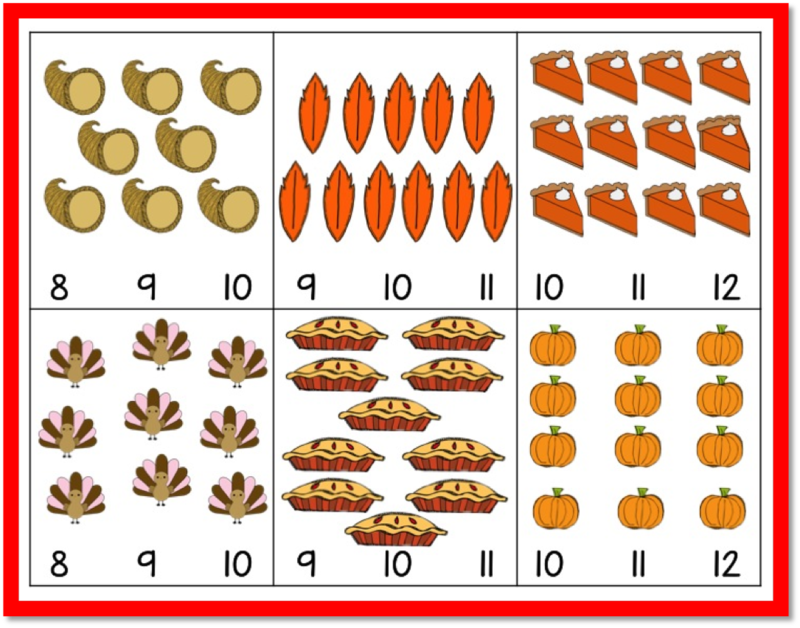 I'm starting to assess for report cards and needed something that my kids could do in table groups with partners. So far, so good. 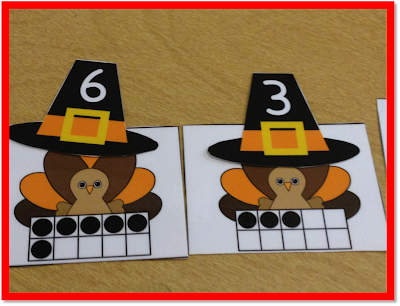 With just a few minutes of explanation- the kiddos were off to their tables, and I was able to get a few kids assessed. It can be very painful listening to 5 year olds count to 100. I can't be interrupted, so the centers need to be independent. 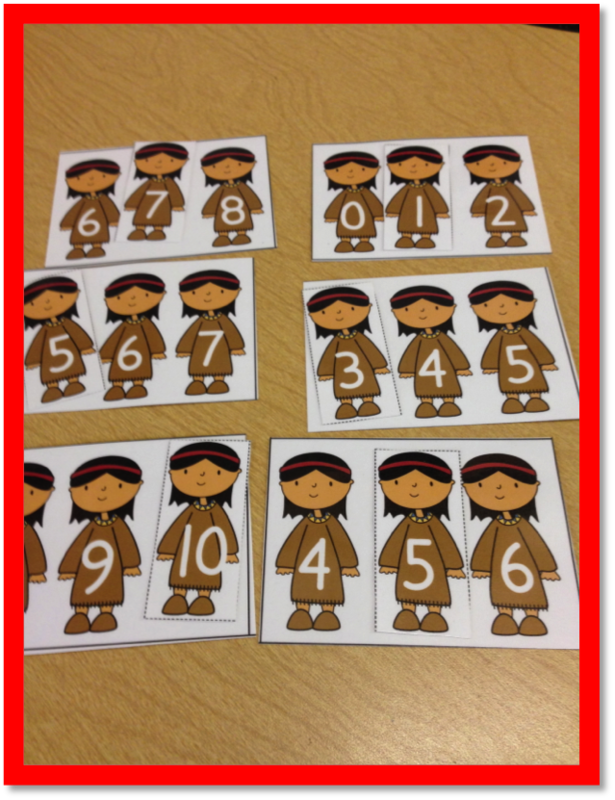 The pictures below show the missing numbers center. It works with numbers before, between and after. 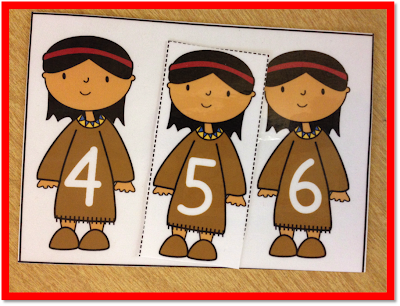 For my kids who need extra help, I give them a number line to use. 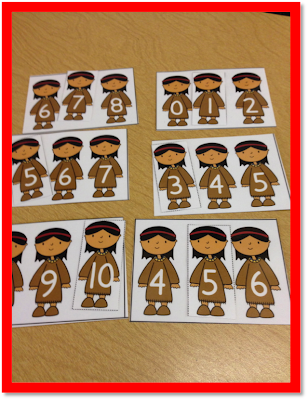 This is a ten frame counting and matching game. 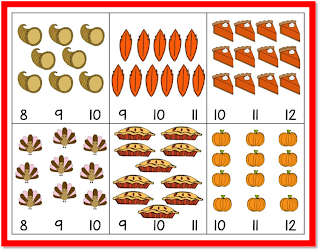 This is quick way to practice one to one correspondence and have kids be able to recognize (subitize) a ten frame. I didn't get a chance to take photos of the other centers. 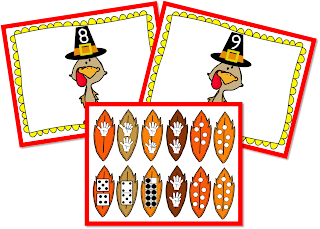 Check back tomorrow as I'll be sharing our writing center and Turkey Craftivity. 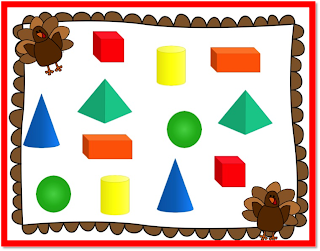 For those who are beginning to do assessments, how do you mange what the other kids are doing?